The Boston Bruins have signed 42-year-old defenceman Zdeno Chara to a one-year, $2 million contract extension. 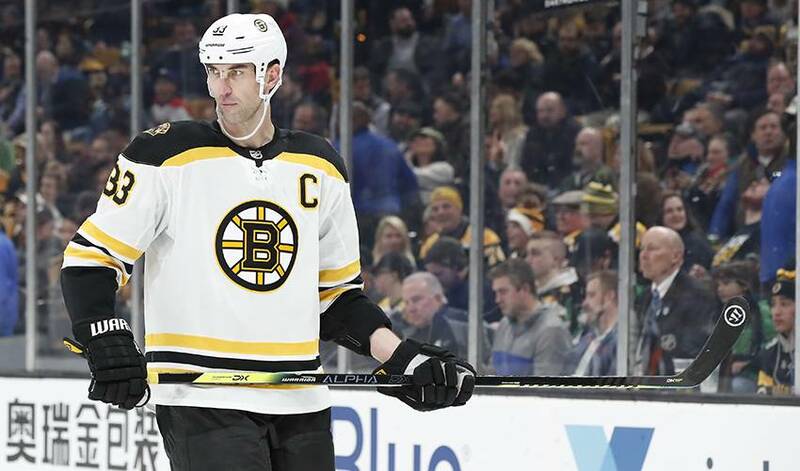 BOSTON — The Boston Bruins have signed 42-year-old defenceman Zdeno Chara to a one-year, $2 million contract extension. He ranks sixth in club history in games (948) and fourth in points by a defenceman (452) behind Hall of Famers Ray Bourque (1,506), Bobby Orr (888) and Dit Clapper (474). When you add up what these players bring to their respective teams, the numbers are pretty impressive. “A blessing.” That’s the first thing that came to Patrice Bergeron’s mind when he found out Zdeno Chara had signed with the Boston Bruins. 2012 Molson Canadian NHL All-Star Player Fantasy Draft Set For Thursday, Jan. 26, Live on TSN, RDS and NBC Sports Network.